Guys, we are here providing you the information related to the BPL match predictions and the Details about the different teams. In this article, you will be getting the details about the Chittagong Vikings This team was the runner-up for the second season of the BPL. Since then there is a downfall in this team's performance. The people those who are waiting for this moment they are advised to get their seat and wait for the moment. 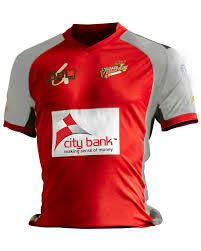 We are here providing you the information relating to each team who are playing in the Bangladesh Premier League. This team of BPL is able to provide the chance to the newcomer to come up with their talent and they can get selected for the team with the International squad. Since the year of its commencement, the league gained the popularity among the cricket fans of the various countries and worldwide. It is the money spinner for many investors. Soumya Sarkar, Yasir Arafat, Misbah-ul-Haq, Sunzamul Islam, Al-Amin, Alauddin Babu, Tanbir Hayder, Irfan Sukkur, Dilshan Munaweera, Nayeem Hasan, Suhrawadi Shuvo, Sajjadul Haque, Stiaan van Zyl. Soumya Sarkar: An all-rounder batsman of Bangladesh team who is actually the captain of the team he is a left-handed batsman of the team and the Right-arm medium-fast bowler. Sunzamul Islam: A player of Bangladesh not having enough experience a Left-handed batsman with the Slow left-arm orthodox bowler. Sikandar Raza: A right-handed batsman with the Right arm off break bowling style and he have enough experience of International cricket to handle any situation. Najibullah Zadran: A Left-handed batsman with Right-arm off break bowling style. One of the most experienced player of the team. Luke Ronchi: A Right-handed wicket-keeper batsman with who played from both countries Australia and New Zealand respectively. An experienced player of both ODI and T20 player. Sunzamul Islam: A young Slow left-arm orthodox bowler of Bangladesh with the left-hand side batting style. Mohammad Shahzad: A Right-handed wicket-keeper batsman and a talented player of Afghanistan team. With the home ground as Zahur Ahmed Chowdhury Stadium. Chittagong. The team is unable to win the title only one time. The team color is "Red and Silver". All match predictions, astrology, bhavishyavani are provided on our website. So guys bookmark our website for further related information and do share it with friends and cricket fans whom you want don't miss any update on this series. so, guys, that's all for this article visit our website for further information. © 2016 SPORTS BETTY. Customized by Byetnet.